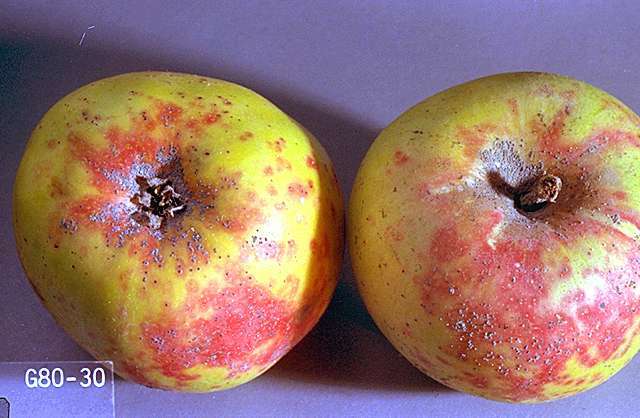 Pest description and damage San Jose scale fruit trees and many ornamentals throughout the U.S., particularly in hot, dry climates. 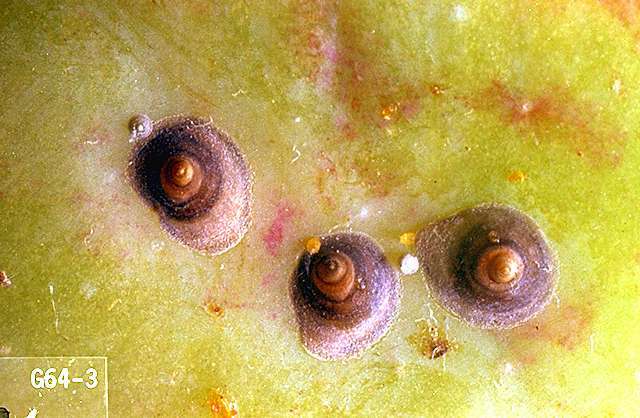 San Jose scale can be differentiated from other scale insects by the scale (shell) that covers the adult females. The scale is hard, gray to black, and cone-shaped. The scale has a tiny white knob in the center with a series of grooves or rings around it. Twigs with infested bark are roughened, rather than smooth, and twig death may occur. Often there is a purple halo on the bark around the scale. Fruit is also infested. Crawlers are flat and yellow and common in June and again in August to September.